Exercise equivalent throughout international politics and right's.  Immediately safety worldwide, constant balance safety and security of our stability. 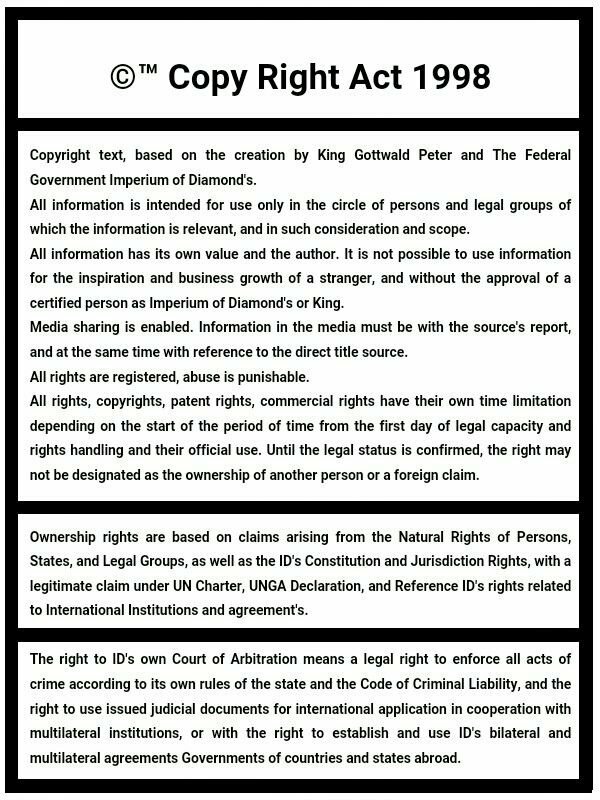  A common army, the army of its own resources The World Diamond, because the possibility always use help with security threats to your country and the stability of the government. Military assistance that comes within 1 hour of the conflict in your country.  In the event of any threat of planetary apocalypse, together we always possess sufficient value civilizations in the universe because together we were able to realize a few hours evacuate the entire population of the planet Earth. Real true.  Ensuring the removal of the threat of manipulation through technology to manipulate our reality, space and time, because of politics, economy, civilizations and peoples. Our combined technologies are able to detect any attempt to these terrorism and to stop it immediately even before this attempt can take place.  The possibility of extending common civilization into space.  A common civilization area over several galaxies and collective ability to fully use our full cosmic space, the greatest civilization in the history of mankind and also a greater value than our planet Earth.  Ability to create a special Great Civilizing Station's in space, so we can create a civilization which are more favorable to human life than life on the planet. One space station civilization may possess a greater economic value than our planet Earth.  Possibility to expand knowledge of the entire universe, and find the end or the beginning. Our technology is able to travel so significant that they are capable of speeds in a few minutes make the way up to a distance that is the end of our universe.  In theory a strong chance for civilization discovered the position of other races and intelligent beings in the universe, so the opportunity to establish common policies and basis of the other common forms of civilization and movements, market or cooperation for the joint development of technology.  The second step will strengthen your economy on the values which today does not understand important than the best present their joint ideology more important values than several times our planet Earth. The value that will be saved to your Central Bank of government, saved value be The Special Shared Paper's for The Foreign Currency Account and cooperation.  The possibility to support the emergence of real forms of world politics and the organization of all legal entities participate from around the world, working in the interests of a common policy. Joint Centre of organizations around the world, a system of cooperation that rapidly overtake each value of the United Nations.  A common policy governments together soon overtake the strength of all the values of the UN. 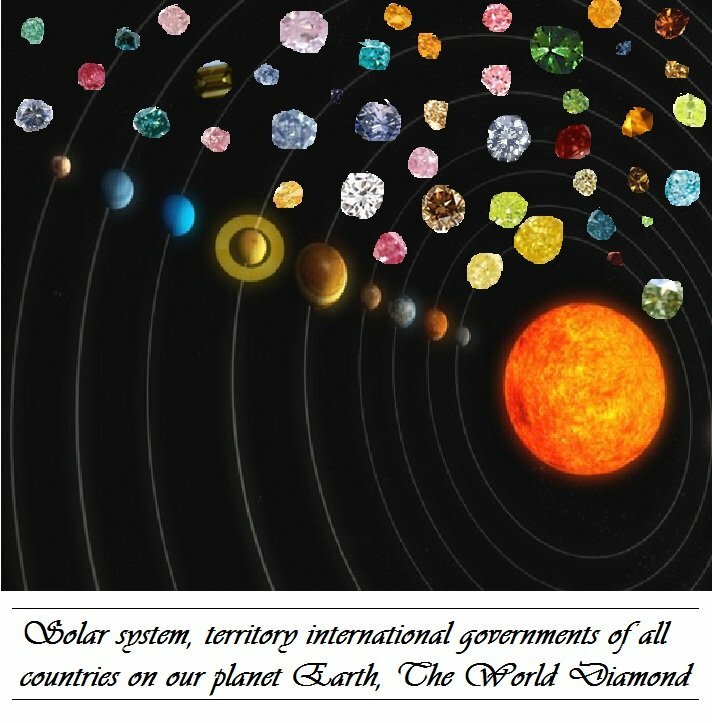  Cooperation of all technological and research corporation from around the world, creating a super technological civilization for research and soon the strengthening of the values of civilization of your government land, the strengthening of the values in the future interests of several million years.  The use of super computers for strategy development of a common policy.  The use of a super computer for the prediction of all events in the future and therefore create a system that stops any value criminal crimes, crimes, genocide, disasters, occupation, neocolonialism, 95% of the world of crime.  Next day, a real opportunity to unite the whole world and really create a real unity of all nations on our planet Earth and in space. First Common territory, The International territory, The First International government in the History of the World ! The United World !  The possibility of joint use of technologies that give immortality to everyone. Life of more than one miliard years, every person can live longer than what is the existence of the human race to today.  The possibility of joint use of technology that can really give new life for every person who died in the past. Create a new planet which will be based on the population of all re-lived people, maybe around 1,000,000,000,000,000 new citizens of our population. Human civilization will expand by value than the 100,000 × is the value of world civilization today. At a minimum, a city across the expanse of the planet Earth.  Together ability to ensure equivalent throughout between nations and ensure strong security, the elimination of all forms of racism, the elimination of all forms of social differentiation, just and full unity, peace and cooperation.  Creation of group, common and equivalent political group who is stop to the any time of risk from our defend against the terrorist regime of foreign government's. If we unite, than we are is power full than any government who can direct value of world stability of economy, policy, safety, any time.  Many more best step's and special success. The One World, World Unity ! Android, robotic technology, special safety system's. 15.000.000.000.000 planet's in The Universe, Common Sovereign territory.